Area Range : 1055 to 1320 sq.ft. 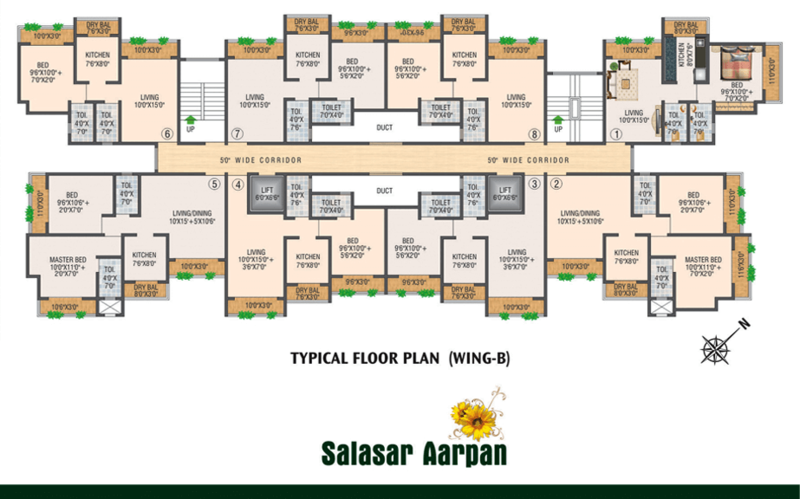 With 7 well-designed Wings of Multi storeys, Salasar Aangan is clearly a landmark residential project in Mira Road (E). Good road infrastructure, as well as modern amenities and conveniences, offer you a premium lifestyle at an affordable price. The Salangpur Group is a multifaceted real estate developers firm with 15 years of building expertise. Today it has become synonymous as a benchmark of progress. The group has a very strong and stable knowledge in the areas of Development and Construction. Our valued and esteemed customers get the best quality infrastructure in our project.